Since I started my adventures in character hunting, the question I get asked most often is "What character meet has been your favorite so far and why?" 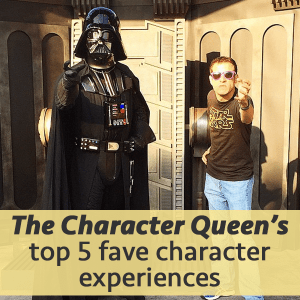 This question is nearly impossible for me to answer because I have loved every second I've gotten to spend with my character friends, so I decided to choose several of my favorites and share the stories behind the pictures with you! These ladies are the absolute best way to start your morning in the Magic Kingdom when they start meeting behind Cinderella Castle (though they are temporarily relocated to the large wall near the Enchanted Forest in New Fantasyland). They always love compliments and attention, and if you're willing to give it to them, your time with them can be hysterical! 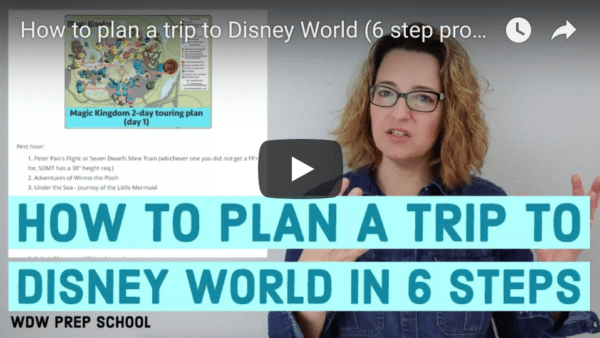 There was one morning when I decided that I needed to make an honest woman out of Lady Tremaine, so I proposed to her with my credit card. Be careful if you happen to meet them at the same time that Dream Along With Mickey is playing in front of the castle, however; they get frightened by loud noises and you might end up taking cover with them unintentionally. It was a beautiful morning as I strolled up the International Gateway at Epcot, and little did I know that the Mistress of All Evil was trailing slowly behind me to search for new goons and cause all sorts of mischief. After a brief discussion about how I could do a much better job searching for the princess for her, I tried my best to mimic all her evil fabulousness for a photo. So much awkward. Maleficent is not a character meet and greet regularly offered, so if you are ever strolling along and feel a chilly wind behind you, turn around. It might just be her! Star Wars Weekends at Hollywood Studios bring about a whole slew of character meets you don't regularly find in the parks during the rest of the year. One of the most popular happens to be one of the rulers of the evil Galactic Empire, and while his wait proves to be very long, it can be worth every second. The day I met him, we had quite the stare down for a moment, but as soon as he turned towards my camera, my demeanor changed entirely. C'mon, who doesn't love a tall, dark and brooding guy? The Little Mermaid is my all time favorite movie, so any time I get to go to Ariel's Grotto in New Fantasyland at Magic Kingdom, I instantly turn back into the 4 year old I was when I first saw the movie. Ariel has a LOT to talk about with you. She'll always be curious about the different accessories you might be wearing, so be careful, she might just want to add them to her own collection! She's also fascinated by a lot of things those of us with legs take for granted. I tried giving her surfing lessons one time. But the best moment of all was when I decided to see if I could give her the smolder like her friend Flynn Rider! I have been very fortunate to have had as many magical moments with my character friends as I have had in the last year, and I am absolutely looking forward to more in the future! Happy Character Hunting! Are you only able to meet Darth Vader during Stars Wars weekends? Sadly you can only meet Darth Vader during Star Wars Weekend. Actually, there is a new Meet-n-Greet coming to HS for Disney Visa Card holders. Feel the power of the Force at the Star Wars™ Imperial Meet ‘N’ Greet at our private Cardmember location at Disney’s Hollywood Studios® starting early 2016. About how long will each character meet with you? You don’t really have a certain amount of time with a character but if there is a long line i would say you shouldn’t spend to much time with the character. If the character has a small line enjoy the time with the character and interact with it as much as you would like.